← Are the people of Feathertown, Tennessee, Idiotēs? That’s one small amendment to the formula; one giant change to the meaning. And that change is what I want to write about today. For the last week or so, I have been living inside the world Barbara Kingsolver created in her 2012 novel, Flight Behavior. The book isn’t about relationships. Actually, it’s about butterflies. But there are some intriguing relationships in the book. I want to tell you about three of them and then I want to come back to the saying I heard (finally) from Tony. Here are the three. Ovid Byron and his wife, Juliet Emerson. Ovid is a scientist who studies butterflies; Juliet calls herself a folklore artist. Then Cub Turnbow and Crystal Estep. Cub is the husband of Dellarobia Turnbow, the book’s principal character and Crystal wishes she were not, because she thinks Cub is just w-o-o-n-derful. Cub and Crystal are not “together,” as we say. Crystal keeps hitting on him and Cub keeps saying no—at least some part of him keeps saying no. I suspect that some other parts are saying yes, but Kingsolver doesn’t tell us that. The third couple is Cub—“Burley,” actually, the same name as his father—and his actual wife, Dellarobia. The first two couples are beautifully matched, although, in fairness, Cub and Crystal are only a potential couple. The third couple is deeply mismatched. I would like to look at these three couples and then poke a little at Cub and Dellarobia, using my friend Tony’s wisdom as the stick. Here is what the relationship of Ovid and Juliet looks like to Dellarobia. She and Ovid and Juliet are sitting at the table. Dellarobia’s son Preston, who is dazzled by Ovid’s “star scientist” persona, is sitting with them. “The monarchs are coming out of, diapause,” Dellarobia thought to announce. “Really,” Ovid said, with convincing enthusiasm. But Juliet revealed that he already knew, he’d noticed it first thing when they drove in this morning. She claimed he was more excited about the butterflies than about seeing his wife. It catches Dellarobia that Juliet says her husband was “more excited about the butterflies than about seeing his wife.” She doesn’t mean it as a criticism. It’s more like an endearing idiosyncrasy. Juliet has “full enthusiasm for the eccentric coordinates of her man.” In Dellarobia’s mind, Cub doesn’t have any eccentric coordinates. Cub is the redneck from central casting, just as his father, Bear, is. And if he had endearing traits, Dellarobia would not know their coordinates—would not, in other words, know how to find them. And if she found them, she would be unable, in all likelihood, to feel any enthusiasm for them. Then she sees something else. “With the sense of a great weight settling, she recognized marriage.” This, Dellarobia thinks, is what “marriage” is and she knows she cannot have one like that. If this is what “marriage” is like, then she has not been married—not in the sense that Ovid and Juliet are–and very likely will never be. So Ovid and Juliet are wonderful. They are beautifully matched and they are married in a way Dellarobia has never seen a relation of husband and wife and had not imagined that there could be any such thing. Cub and Crystal, if they were a married couple, would not be like Ovid and Juliet, but they would be wonderful, too. Dellarobia’s mother-in-law, Hester, is telling her how she sees the kind of marriage she and Cub have. It isn’t pretty. “No, you don’t. Not Cub. You never did. Dellarobia felt socked. The vision that ambushed her was of Crystal in the dollar store that day. How she’d looked, talking to Cub. Craving, yes, but also admiring, cherishing. By any measure, looking up. How much more of a man Cub would be if he’d married some sweet, average-minded girl who thought Cub Turnbow hung the moon. Dellarobia felt loss as wide as a river. For what she had taken from him. There is that beautiful match that somehow didn’t happen. Crystal would be full of “enthusiasm for the exact coordinates of her man.” She would know what those coordinates were and she would celebrate them. Crystal would be “craving, admiring, and cherishing.” She would make Cub much more of a man that he could ever be with Dellarobia, but Dellarobia is the one Cub impregnated and the marriage followed swiftly after. It is sweet of Dellarobia to think that that happiness is something she has “taken from Cub,” but it isn’t true; Cub gave it away himself. And now, for the duration of this story anyway, Cub has Dellarobia, no matter how much he might prefer Crystal. The third couple. The mismatched one. In the course of the story—and I really do urge you to read it for yourselves; it is a marvelous story, superbly told—Dellarobia has grown a great deal. She has outgrown her habitual role as victim. She has seen a vision that turned her life around. She has made some money and been abused by the media and handled crowds. She knows, now, that she cannot get small enough to fit back into Cub Turnbow’s life. 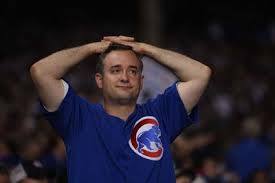 And Dellarobia is not a Cub fan, as is the one we see pictured. Here’s how that goes. Cub and Dellarobia are having the best and worst conversation of their married life. Nothing that is currently true is being denied. Things that might become true are being ignored. Dellarobia could imagine the inner structure of her husband’s world, in which events confirmed themselves. Their marriage must be good, because marriages were. It had come to pass. Cub assimilates this and then tries another tack. “I respect you,” he said. The “waiting for a letter” image is powerful. Dellarobia is a customer in this image, not a wife. She stands by the mailbox. Cub delivers one item, then another, then another. He delivers a wrench; we know he would have a wrench. Then a milkshake; we know he sneaks them when he is working even though they aren’t in the family’s budget. He doesn’t put a letter in the box because he doesn’t have a letter. He doesn’t know any language Dellarobia understands. The customer is still displeased and eventually, walks out of the “store” a free woman. Has she failed Tony’s test? Has she failed to want something that she really could have had? The book doesn’t say and I think Kingsolver has written Dellarobia so that the answer would be No. I’m not so sure. I tend to look at things from Cub’s point of view, as well as Dellarobia’s, and I wonder what would happen if she asked for a letter. Dellarobia is pretty forceful. Did it not occur to her to ask her husband to put into the mailbox something she wanted to find there? Did it occur to her to do something other than stand by the mailbox? No man is happily married to a “customer.” Trust me. It doesn’t work that way. Dellarobia could never have become Crystal. She wouldn’t want to and she wouldn’t know how. She does have the sense of what Cub has lost, though. When she has that sense of loss as wide as the river for what she had taken from Cub, she is seeing what could have been. But how much of what could have been, could still be? How much of what Dellarobia can have, is still there for the taking? Well…for the making…actually. It takes four hands and you have to make it every day and it won’t be a croissant, but it could be a very satisfying loaf of whole wheat bread and for a Wonder Bread family, that is a big improvement. She doesn’t have to believe that Cub Turnbow “hung the moon.” Cub knows that Dellarobia knows better. But she could help Cub become the kind of man both of them would respect. She appreciates Cub as a father and “loves him,” she says, but he is not living a life she respects. I think Cub could be a much better man than he has been. Being a better man will help him be a better husband. Being a better husband will make theirs a better marriage. I am confident of all that. How much better a marriage? That’s the part I don’t know. Kingsolver doesn’t know. Eventually, having made the marriage all it could ever be and having enlisted her husband in the process, Dellarobia might conclude that it really isn’t good enough. She would, by that time, have done everything she could to want what she could have and would still have found it inadequate. That would be the time to give up. Honestly, celebrating them is part of how you find out where they are. Then you get to celebrate them some more. In another life, I pay attention to words like “repentance” and “conversion.” The word that is usually translated “repent” means “to change your mind.” You can see, if you look at it, that the word “convert” has to do with turning around. Those two things happen do Dellarobia in the first chapter and it has nothing at all to do with religion. A wonderful romance develops between Robert Duval and Jane Fonda in Stanley & Iris. By the end of the movie, Iris is thoroughly in love with Stanley and celebrates every one of the letters he writes to her from the site of his new job. He was illiterate when she met him and she taught him to read and write. Now he writes his love to her. Not, you know, to make too much of a single metaphor. This entry was posted in Living My Life, Love and Marriage and tagged Barbara Kingsolver, Flight Behavior, love, marriage, respect, wanting what you can have. Bookmark the permalink.